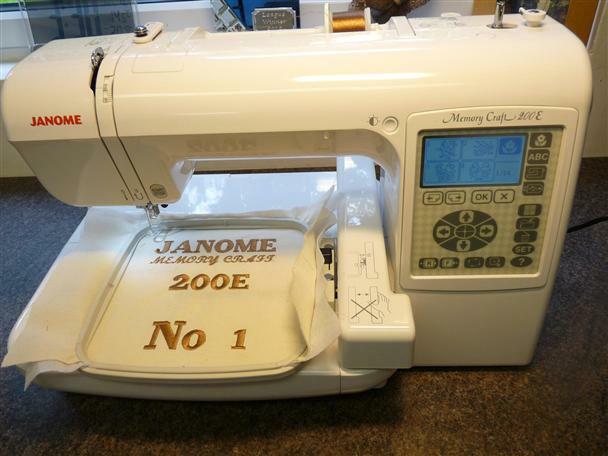 The Janome Memory Craft 200E is an affordable computerized sewing machine with exceptional performance. You'll be able to create professional embroidery garments, accessories and home decorative items thanks to the easy to use 200E features. It has a large embroidery area comprising of 140mm x 140mm and a nice large LCD touch screen. As with the other Memory Craft computerized machines, the 200E allows you to copy images from your USB stick directly to the machine to transfer designs. A large collection of 73 built in designs are included along with 3 fonts for embroidery projects in addition to editing functions such as rotate, flip, zoom and even drag and drop. Once you've decided on your design the 200E will let you know the time required to create the design as well as the stitch count. The machine weighs 7.5 kg and comes with a soft case.